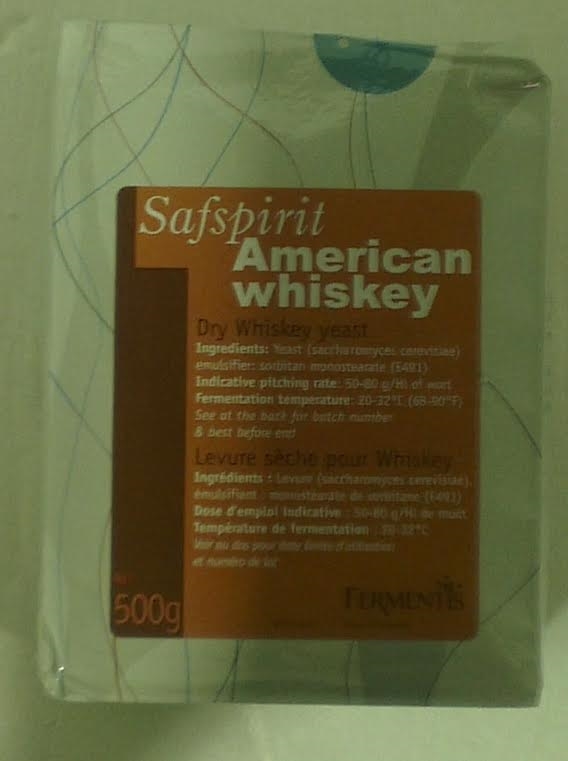 Fermentis SafSpirit - American Whiskey Dry Yeast 500g. This dry whiskey yeast strain was selected to meet the requirements of American whiskey, bourbon craft distillers. Description:This dry whiskey yeast strain was selected to meet the requirements of American whiskey, bourbon craft distillers. Rehydrate the yeast in 10 times its volume of water or wort. Opened sachets must be sealed and stored at 4C (39F) and used within 7 days of opening.